IF YOU are unemployed, registered with Social Services, have an understanding of Spanish and looking for a training course to further your employment opportunities, then the ADL in Torrevieja may have something for you. The Department of Employment Development of the Municipality of Torrevieja, through the Local Development Agency (LDA) is offering totally free training courses for the last quarter of 2011. These initiatives continue along the line taken in the previous quarter, in which more than 500 unemployed people attended the training activities in Torrevieja, with the Town Hall showing their commitment to providing job seekers the tools to facilitate their employment prospects. 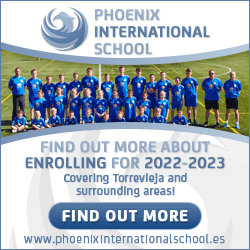 The courses offered were selected based on the employment needs that have been detected in Torrevieja’s labour market and include: English, Food Handling, Initiation to the Internet, Microsoft Word and Excel, Commercial Law, Construction fault finding, Community Administration, Urban leasing, Interior and Exterior Painting, Tiling, General Carpentry Business Creation and Financing plus Audio Installation. On a professional level, Spanish Law 32/2006 of October 18, regulating subcontracting in the construction sector, established in Article 10 the obligation of obtaining the Construction Professional Card (TPC) for all workers, as of December 31, 2011 as a prerequisite for training on the Prevention of Occupational Risks. Torrevieja’s Mayor Eduardo Dolon explained that the City Council of Torrevieja is the only place, from now and until December 31, that is offering the opportunity to obtain the Construction Professional Card, which is the document issued by the Construction Education Foundation with the aim of proving, among other things, the sector specific training required by workers in the prevention of occupational hazards in the professional workplace. Note that the TPC is necessary and indispensable to all workers in the construction (bricklayers, plumbers, carpenters, plasterers, welders, etc.) industry. The Department of Employment Development, through the ADL, has allocated €30,000 euros for the implementation of these training programs. 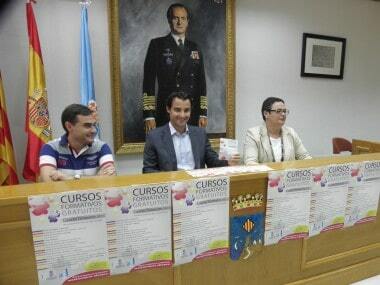 The mayor of Torrevieja said that enrol in these courses, those interested must leave a photocopy of their ID (DNI) and DART (registration document SERVEF) should they be unemployed, with the Local Development Agency, located in the Avenida Habaneras, n º 20, bajo.